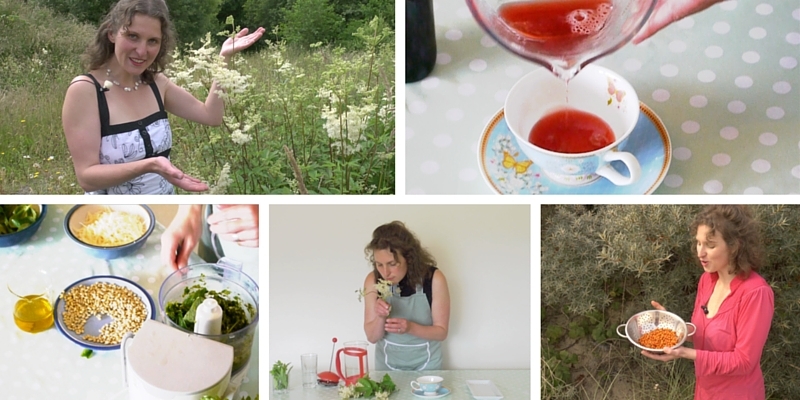 Your guide to Foraging For and Using Edible & Therapeutic Herbs. 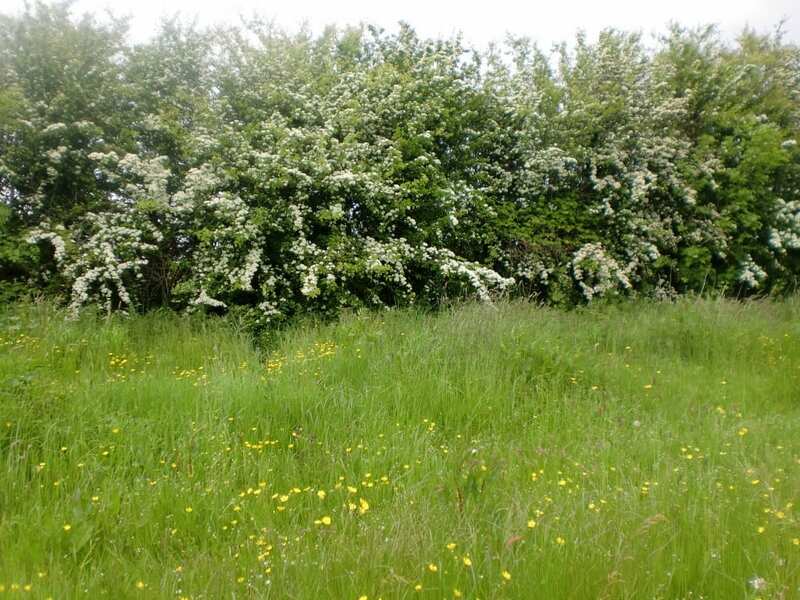 An identification video to help you to recognise the hawthorn tree, hawthorn flowers & hawthorn leaves. 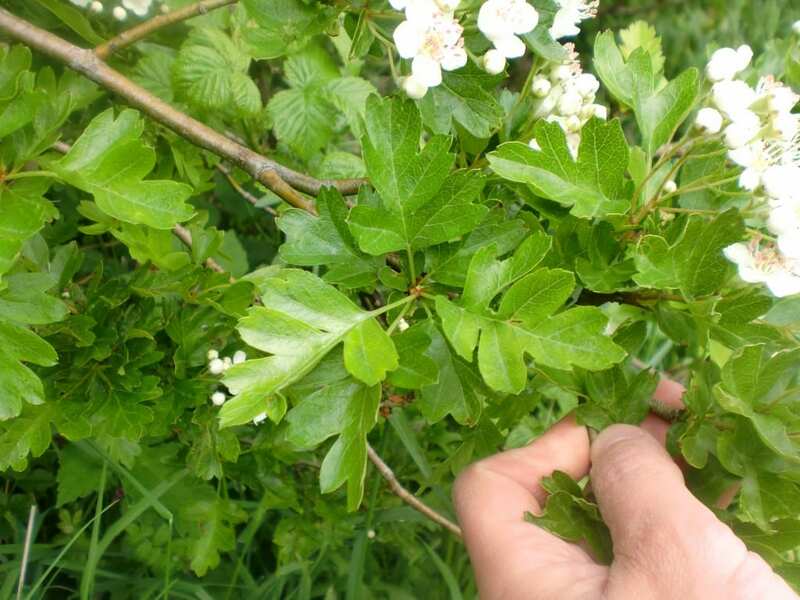 An herbal data sheet containing details of how to use hawthorn flower & leaves as a wild edible food and/or therapeutic herb. 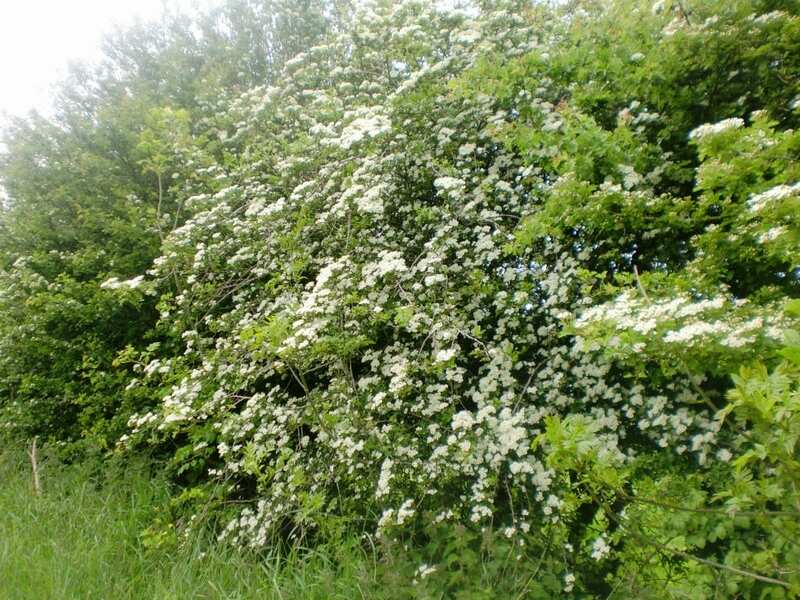 Photographs of the hawthorn tree, flowers & leaves. A video showing how to make hawthorn flower ice-cubes. 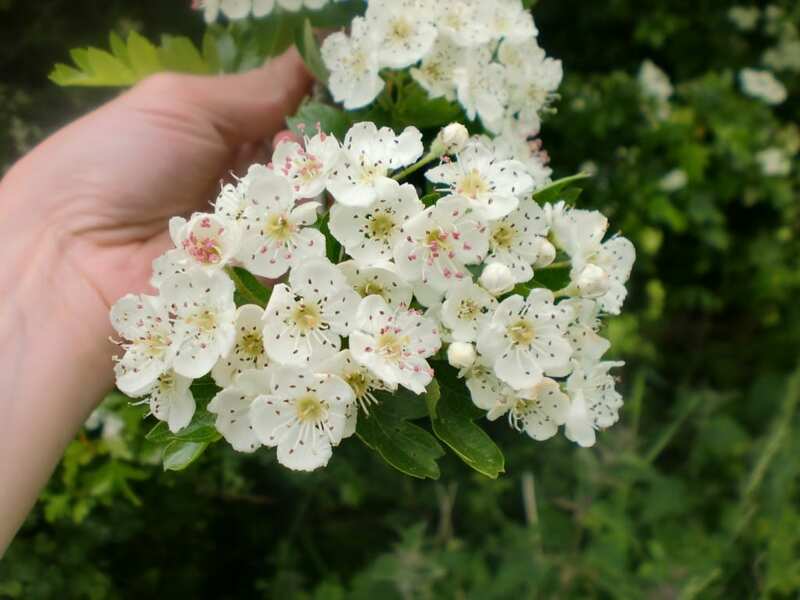 A step-by-step photo lesson showing how to make hawthorn flower syrup. 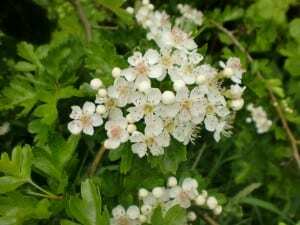 The recipe for hawthorn flower syrup. You can read the recipes and plant information on-screen or print off the pdfs documents (in the full version of this course). A beautiful salad made entirely from foraged plants that feature in the Spring & Early Summer edition of this online course. 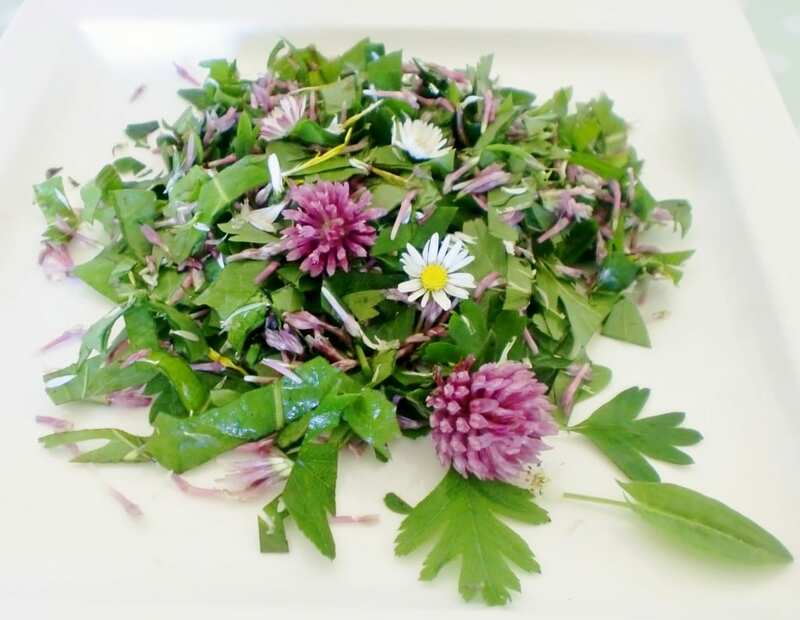 Ingredients: Daisy (the white and yellow bits), red clover flowers (the pale pink bits), hawthorn leaves (the green bits), sorrel (more of the green bits), dandelion leaves (yet more green bits) and dandelion flowers (the yellow bits). Enrol by midnight on 1st Feb and get an introductory webinar on Tues 5th Feb at 8 pm GMT (Ireland & UK time)/ 4pm EDT/ 1 PDT. Your questions will be very welcome. Can’t attend live? No problem. Email Vivienne [info@theherbalhub.com] your questions beforehand and I’ll try do my best to answer them during the webinar so that you can get your answer when you watch back the recording. General Q & A webinars with Vivienne take place regularly from April-Oct.
Join the program and start learning today! PREFER TO TRY ONE COURSE?